Last weekend we went to the Financial District to visit the Oculus (see more on our Instagram) and to check up the Home Organization section at the Barnes and Noble Tribeca located at 97 Warren St. Beautiful location, no waiting for seating at the cafe (at least on weekends), so it was a perfect afternoon! The variety of Home Organization books has growth over the last years, ones are more practical and others more inspirational. Either way, it’s always a good sign just to decide to start decluttering, organizing and styling your home. For practical reasons, we get our books in Kindle or iBooks format because we can access them anywhere, anytime and we love to highlight the most important parts. But, it was a really good idea to go to the bookstore first and check up what do they have in stock and take a quick look at each book’s content. 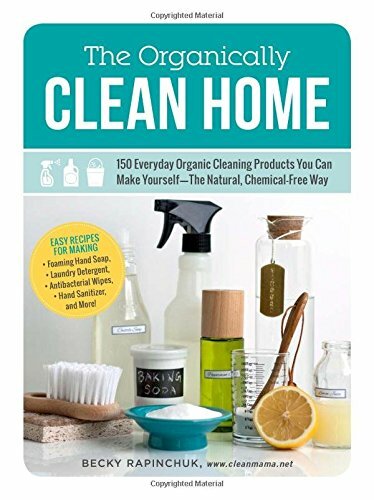 We stacked much more books and finally got together this list of titles that we think have the most relevant content about Cleaning and Home Organization. We noticed also that there are fewer books about Cleaning than about Home Organization, but obviously, all of them talk about the importance of having a clean and clutter-free space. The idea of this #CleaningStudio #Challenge is to schedule the reading of 1 book a month and write a summary about the content and our personal opinion as professional cleaners and home organizers, simple as that! You can join the Challenge and read along with us or wait for our post and decide which books are best for you and your home, it’s your choice! So, to catch up a little, we have been reading some good books this year (posts are coming! 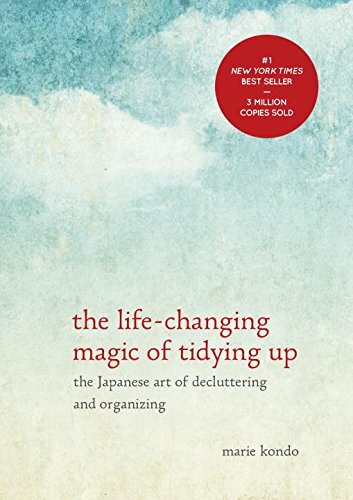 ), currently reading Spark Joy by Marie Kondo so we can start our #CleaningStudio #Challenge for September 2016 with this book. We personally find it very similar to The Life-Changing Magic of Tyding Up, but way more practical (and graphical!). Since it’s almost the same content, we recommend you to skip The Life-Changing… and just start fresh with Spark Joy. Then, there is a list of 3 more books for the following months and a Guides for Consultation section. The last section is going to grow with new discoveries, and will have books for consultation or projects. This are graphical books so we recommend them to get them in physical and keep them always handy. Note: Click on the images of the books to get the books in Kindle format on Amazon. If you want them as Hardcover, just change the format. The Guides for Consultation and The Joy of Less are linked in Hardcover format. You can also buy like-new used books for a very good price! The post about each book is scheduled to be published on the last Friday of each month. Don’t forget to subscribe to get our updates! Do you want to change your lifestyle and live in a clean and organized home? Come on and join us on this #CleaningStudio #Challenge ! Get up and go to the nearest bookstore or open your Kindle / Ibooks and order Spark Joy asap.